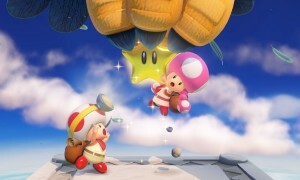 The release date of Captain Toad: Treasure Tracker is drawing near and to get potential customers excited about the game, Nintendo has uploaded a ten minute clip of a mother and daughter playing through the puzzle platformer. The clip is Japanese and tailored toward the Japanese audience, but from the footage you can see some of the unique levels available, with some of them taking place in environments we’ve never seen before. 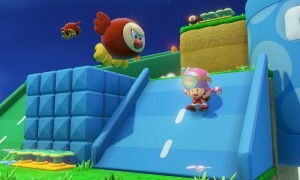 Some of the puzzles on display have a Pushmo/Crashmo feel as well, as they have to be rotated in order to be completed. The game is releasing on November 13 in Japan, but it won’t be available in North America until November 21. Europeans will be able to get their hands on the game on January 2nd, which is pushed up a week from the original launch date of January 9. The game will retail for $39.99.